2017 is off to a good start when it comes to metal and hard rock releases. Sometimes the pickings are pretty slim at the beginning of a year, but not so in 2017. Here are our choices for the best albums released in January of 2017. 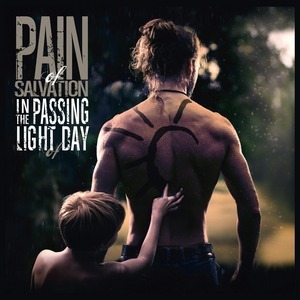 It has been six years since the last proper studio album from Swedish prog metal vets Pain of Salvation. In the Passing Light of Day is heavy stuff. In fact (and this could be producer Daniel Bergstrand’s influence), the first forty seconds of opening epic “On a Tuesday” might make one think they were listening to a Meshuggah album, but never fear: there’s far too much musical sensibility here to make that mistake. “On a Tuesday” and album closer “The Passing Light of Day” are the two epic tracks here, and both are incredibly strong with regards to performances and composition. Both songs are clinics in progressive epicness. January is a slow month for quality releases, but Pain of Salvation kick 2017 off in phenomenal fashion with an aggressive, emotional, thematically coherent album that engages us right from the beginning and draws us in willingly for repeated listens. Aside from the over-compressed nature of a handful of songs on the disc, this is a stunning album. As it stands, In the Passing Light of Day is arguably the best record of their career, and what is sure to be a top progressive metal release at the end of the year. Gods Of Violence is Kreator’s fourteenth full-length studio album, and continues the band’s run of strong albums since the release of Violent Revolution in 2001. Lyrically, Gods Of Violence takes up Kreator’s mantle with scathing songs aimed squarely at religious fanaticism and its intersection with political violence and the rise of totalitarianism. Musically, Kreator are a veteran band and, at this point in their careers, are going to deliver, at the very least, a strong album, and that’s certainly the case with Gods Of Violence. How does Gods Of Violence stack up against the band’s recent output, especially after coming off such a strong album in Phantom Antichrist, which was released almost five years ago? Quite well, but Gods Of Violence contains more melody, a few minor orchestral arrangements, and plenty of slower moments, more so than its immediate predecessors. The production is also more organic with a richer guitar sound and a perfect mix. 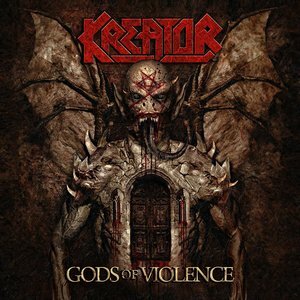 Kreator continue their run of strong releases and demonstrate that they still have plenty of songwriting chops left after more than 30 years of being on top of the thrash metal heap. 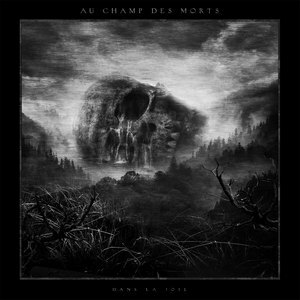 After a well-received EP last year, the French black metal band Au Champ Des Morts return with their full-length debut Dans La Joie. It’s an impressively diverse album, with melodic and atmospheric sections that are introspective and subdued. Those are contrasted by bombastic and grandiose parts along with periodic forays into extreme, dense black metal. The vocals utilize both melodic singing and impassioned screams. It’s an emotional and musical roller coaster of ebbs and flows, light and darkness that take the listener on a rewarding musical journey. As Was won’t sway those perturbed by Black Anvil’s expansion, with an increased presence of singing and a bleakness that doesn’t feel manipulated by artificial circumstances. Every song, save for the understated instrumental “The Way of All Flesh,” has at least one section where melodic vocals take over. At times, they harmonize with raspy croaks, echoing each other in an uneasy momentary truce. The varied vocal approach comes off great, with the singing delivered with a confidence that lacked in the weakened tones on Hail Death. 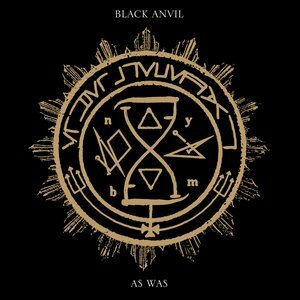 As Was is a distinctive album, one that stands out from the rest of their catalog; a trait that Black Anvil have followed since their early days. Every album brings something unheard from them to the surface, and instead of letting it be a one-and-done deal, they expand upon it. This expansion is never a half-hearted affair or one built with the end goal of mainstream success, but a necessity that gives the band an advantage on the majority of current USBM groups. Countless metal bands have been inspired by horror writer H.P. Lovecraft over the years. 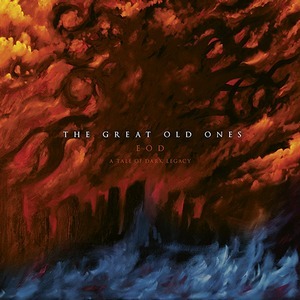 The French group The Great Old Ones once again delve deep into Lovecraftian lore on their third album EOD: A Tale Of Dark Legacy. Complex compositions are steeped in atmospherics that augment the bludgeoning black metal. On tracks like “The Ritual,” icy and ominous guitars give way to a melancholy acoustic section before ramping back up. The 9 minute “The Shadow Over Innsmouth” is a tour de force. It’s a dramatic and cinematic album that does a good job translating Lovecraft’s themes to music and fully engages the listener.